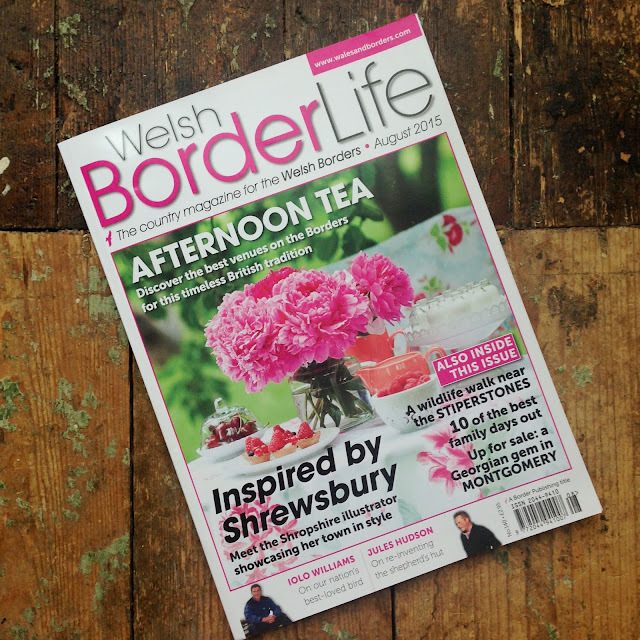 We are in this month's Welsh Border Life magazine! 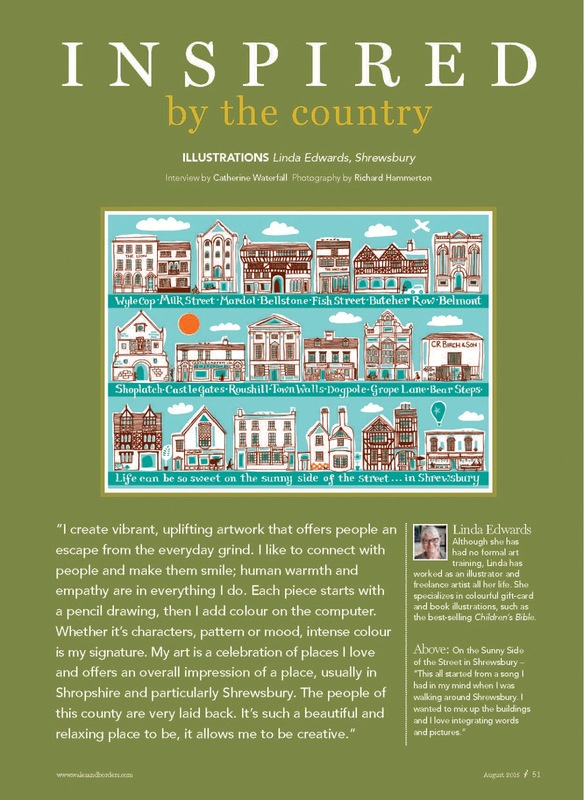 Every month they have a feature on artists who live in the Marches. In the August issue I talk about Shrewsbury and how living in Shropshire is so inspiring. Of course Shrewsbury is Darwin's birthplace and he lived here during his schooldays. The tree picture is Darwin as a boy interwoven with a quote from The Origin of Species, though I can't claim to have read the whole book! He was fascinated by pigeons as a boy, so I have given him some to talk to in his tree. 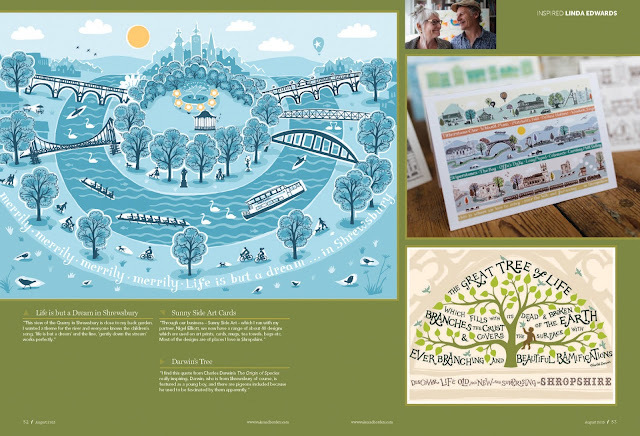 I've also made a series of drawings of some of our favourite places in Shropshire. The place names are brilliant and the landscape so varied; hills, meres, rivers and valleys. 'This is where we love to stray, over the hills and far away in Shropshire'. We make mugs and cards and art prints from my drawings. They are available from lots of lovely shops in Shropshire - please see our stockist list here. Compost & Gooseberry in the indoor market has the full collection of prints to browse through. 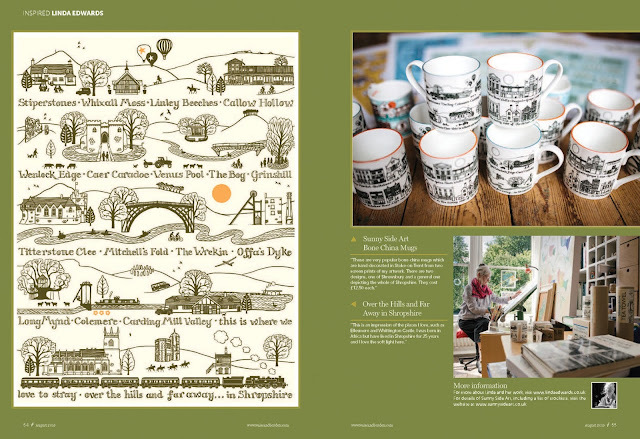 If you are not in Shropshire we are currently working on our online shop. I will post here when it is ready!